Every summer, millions of people head to the coast to soak up the sun and play in the waves. But they aren’t alone. Just beyond the crashing surf, hundreds of millions of tiny sea urchin larvae are also floating around, preparing for one of the most dramatic transformations in the animal kingdom. Scientists along the Pacific coast are investigating how these microscopic ocean drifters, which look like tiny spaceships, find their way back home to the shoreline, where they attach themselves, grow into spiny creatures and live out a slow-moving life that often exceeds 100 years. “These sorts of studies are absolutely crucial if we want to not only maintain healthy fisheries but indeed a healthy ocean,” says Jason Hodin, a research scientist at the University of Washington’s Friday Harbor Laboratories. 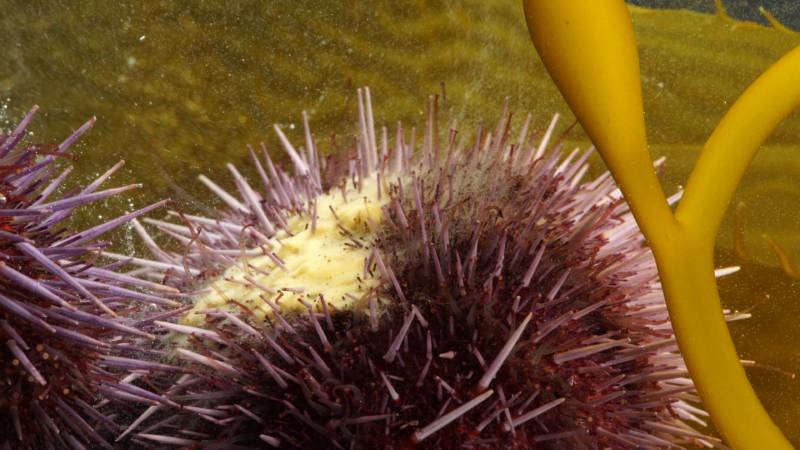 Sea urchins reproduce by sending clouds of eggs and sperm into the water. Millions of larvae are formed, but only a handful make it back to the shoreline to grow into adults. It may sound like a risky life strategy. But in the ocean, it works. Nearly every animal that lives along the shore — from mussels to sea stars to some species of fish — sends its young on an open ocean journey before they return home to grow into adults along the shoreline. 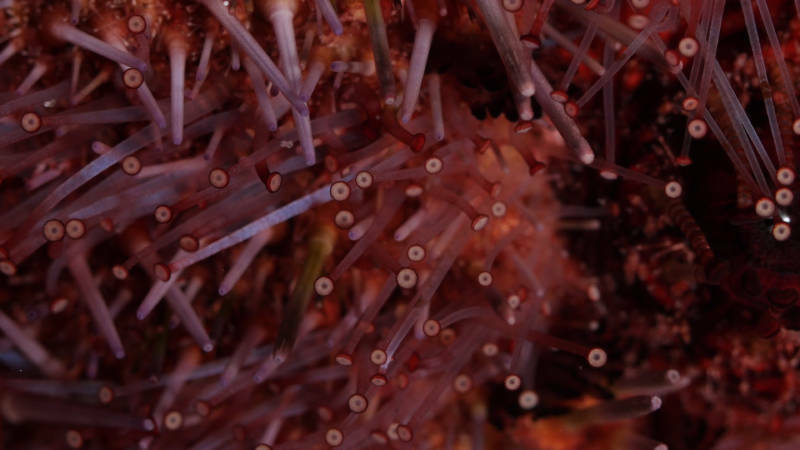 “One of the big challenges in understanding marine life cycles is understanding how larvae do this,” says Hodin, who is working with a research team that is trying to learn how purple sea urchins find their way home. Hodin said it is similar to a housing search. When you are looking for a place to live, the first step is to decide on a neighborhood. Hodin, along with Brian Gaylord of the UC Davis Bodega Marine Laboratory in Bodega Bay and Matthew Ferner of the San Francisco State University Romberg Tiburon Center for Environmental Studies in Tiburon, recently found that that waves — specifically the strong, thrashing turbulence found in the urchin’s intertidal habitat — play a role in the larval urchin’s journey home. “We think that turbulence is basically an indicator that they’re in a good neighborhood,” he says. In fact, the team discovered that the crashing waves actually make the larval urchin — called a pluteus — develop faster. Once the pluteus has found a neighborhood to settle in, it finds a home by using more local cues, like the presence of other adults or certain types of algae. It will then undergo a complete transformation. 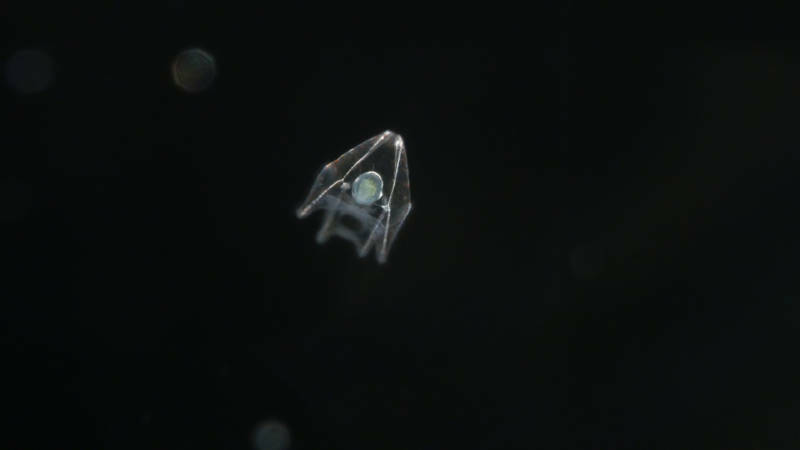 The larval urchin drifts in the ocean currents as a member of the plankton for a month or longer. 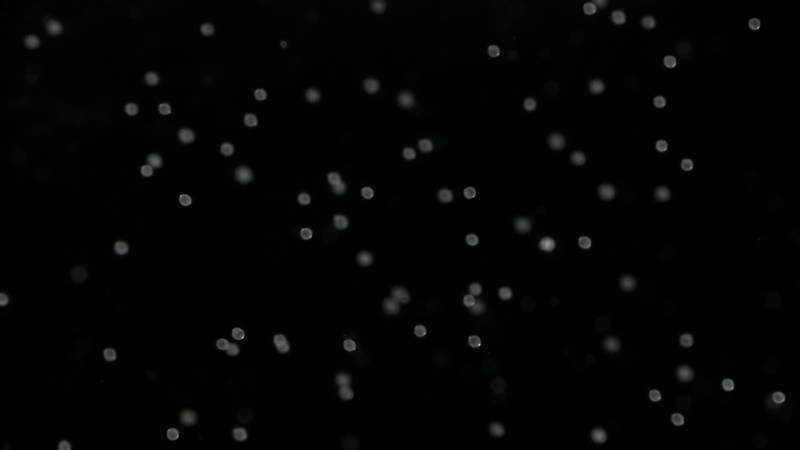 How does it change from a tiny drifter the size of a grain of sand to a bottom-dwelling ball of spines? Halfway through its voyage out to sea, “something very interesting happens,” Hodin says. “They do a little trick to try to make that transformation from being a larva to being a juvenile happen faster." They begin to grow the juvenile urchin form — a miniature adult — inside of the larva's body. When it reaches the rocky shore, the juvenile urchin bursts out. “It sticks its little tube feet out of the side of the little pluteus larva swimming around, and it grabs hold of the rocks or the bottom of the seafloor,” says Nat Clarke, a graduate student in Chris Lowe's Laboratory at Stanford’s Hopkins Marine Station in Pacific Grove. Within hours, it begins to resemble the purple, spiky sea urchin that beachgoers regularly see in tidepools and along the ocean bottom. Urchins commonly live for decades. Some can live for more than a century. Scientists know this because nuclear testing in the 1950s left trace amounts of radioactive material in red sea urchins’ shells, enabling researchers to calculate the sea urchins’ age. Adult urchins spawn throughout their lives, sending their young out to sea just as their own parents did. 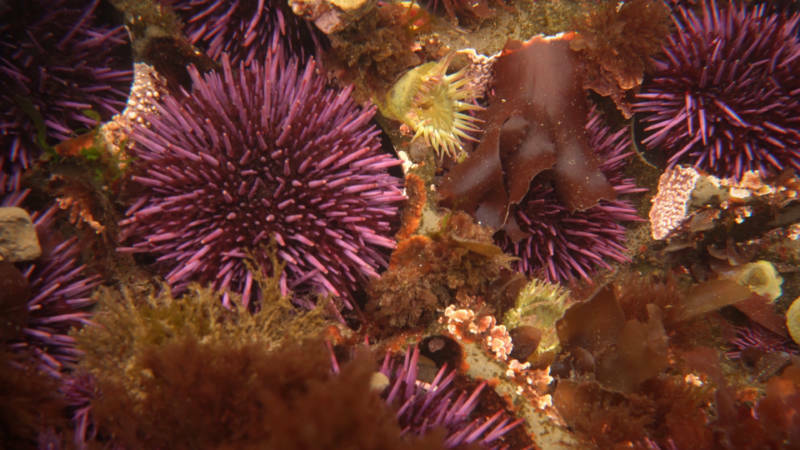 Somewhat like salmon, urchins may come back to the place they were born, although scientists aren’t sure yet how or why.